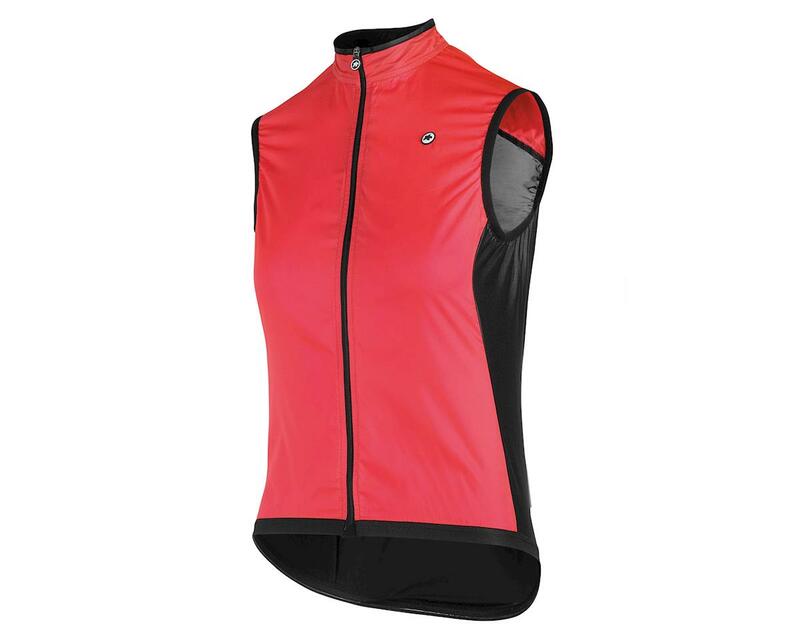 The Assos UMA GT Women's Summer Wind Vest is a windproof, packable, ultra lightweight shell that is perfect for those cool morning starts and chilly descents. Equally at home tucked in your pocket or on your body, this women's specific vest has a form-fitting construction that delivers the highest level of protection against the elements. The sleeveless design consists of Assos's Foil Ultra textile on the front panel, used in many of their shells, as well as Glossy textile side panels, and a Stretch net rear panel. A dual layer collar construction provides elasticity and comfort. With minimal volume and minimal seams, this back-pocket insurance policy is gear you won't think twice about having with you. Stay comfortable throughout the ride, without feeling like a packhorse. Long Distance: A body-mapped performance fit that is a little less aggressive than the Aero Racing line. The best of both worlds, where wearability and speed converge. Stretch net: Deployed on the rear of the vest for increased ventilation and improved contouring while on the bike. DWR: As not every day comes with unbroken sunshine, this vest is treated with DWR (Durable Water Repellency) to protect you from rainfall. ultra lightweight, ultra packable: strikes the balance between weight, volume and performance. 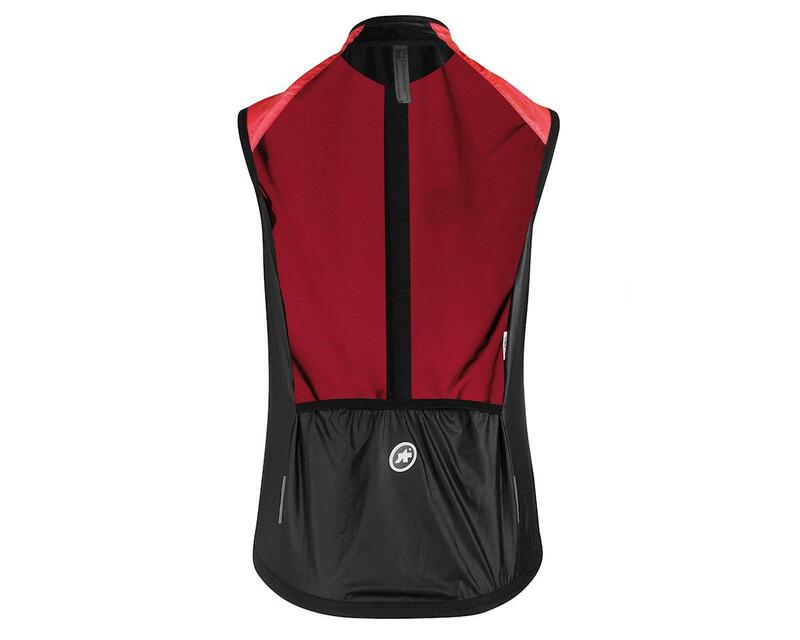 Useage: This sleeveless wind vest is perfect for spring, summer, and fall when conditions may vary.